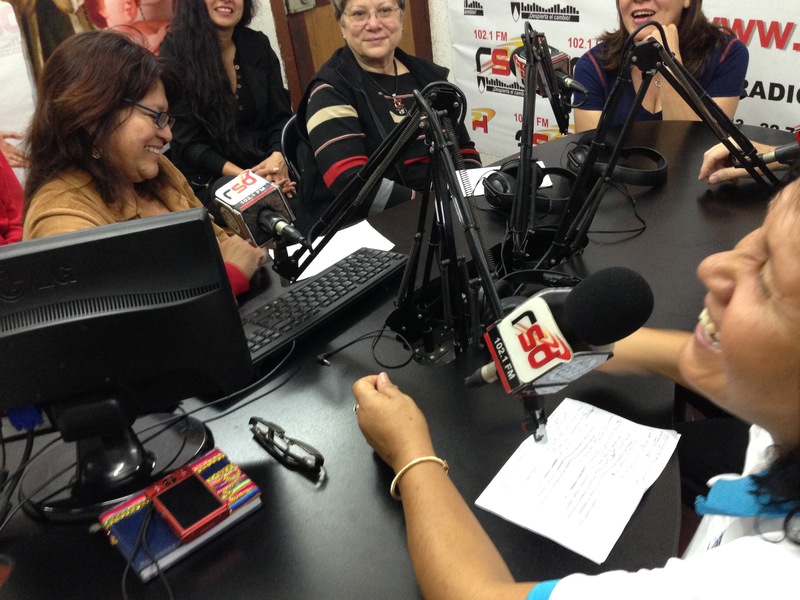 Every Sunday at 9 a.m., Pushaq Warmi (PW) members Edit Oliva Flores and Ruth Castaneda Angeles conduct a radio show that airs on 102.1 FM and http://www.rsdenlinea.com. With the behind-the-scenes assistance of other PW members, the show airs live without a hitch. 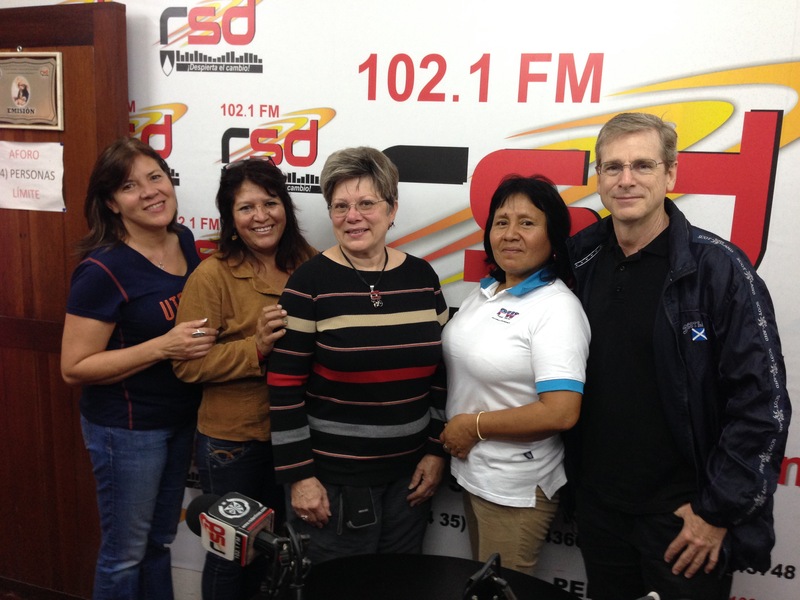 Their slogan translates to “A program for women and the whole family.” They open the show with a few jokes and some current events, but the meatiest part of the show is when they discuss issues important to women. 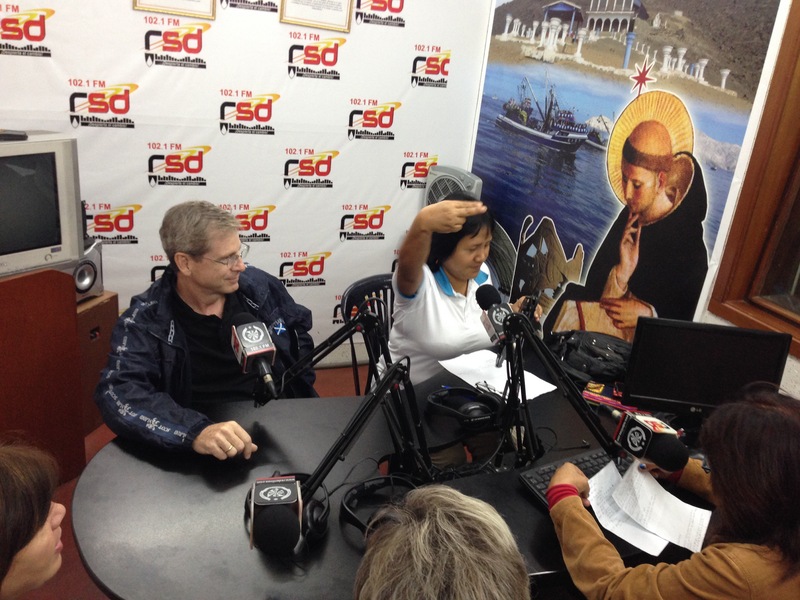 This past Sunday they interviewed UIW professors Michael Forrest and Sara Jackson. They recorded the show live in their studio and aired information about upcoming WGC-sponsored workshops that are open to the public later this week. 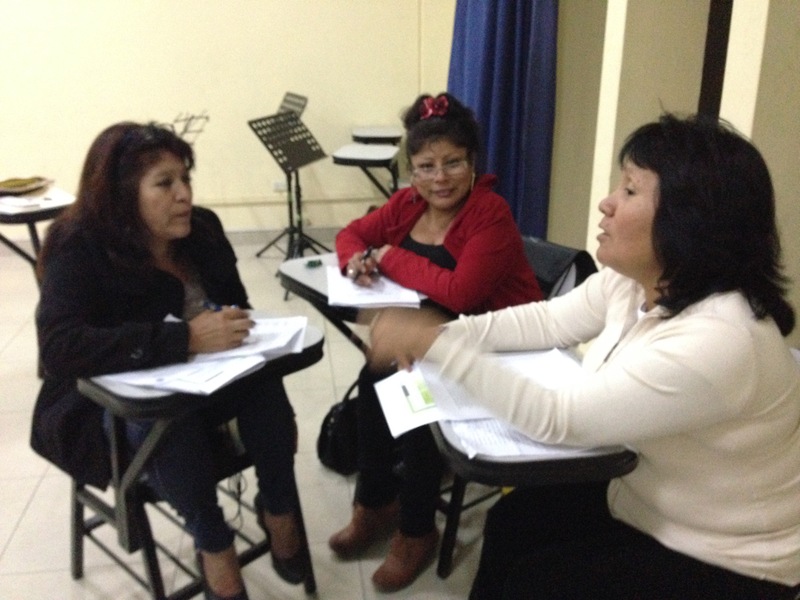 Topics discussed included International Business, Tips for Small Businesses, and Starting A New Business. 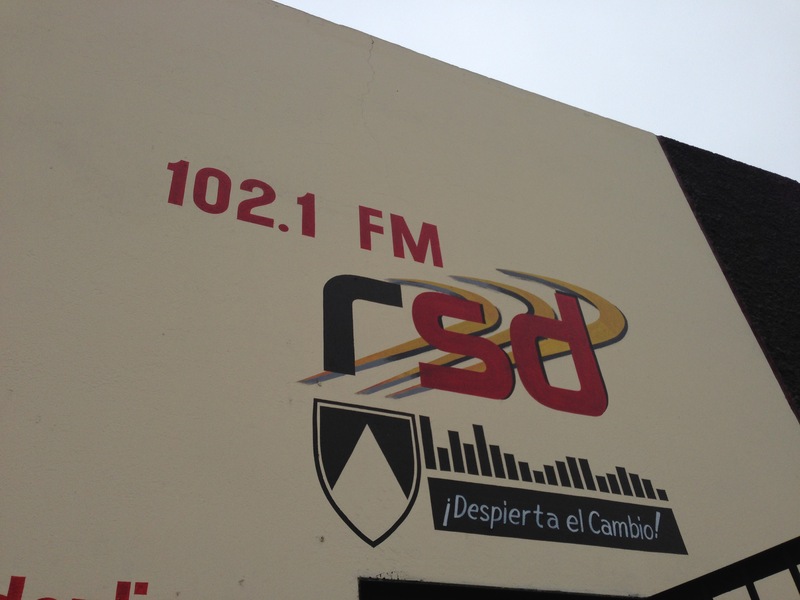 The show wrapped up with recordings of various public opinions on why Peruvians are willing to spend more money on international music acts, but my favorite part of the show was when they dedicated Whitney Houston’s “One Moment in Time” to us! 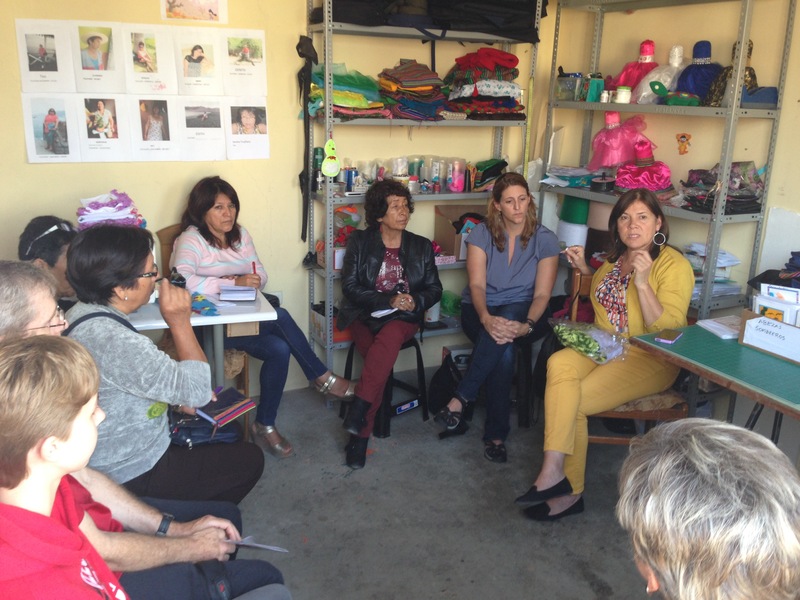 We were excited to travel to Pushaq Warmi member Mari’s house in Nuevo Chimbote where a Women’s Economic Development workshop on Quality Contol was conducted. 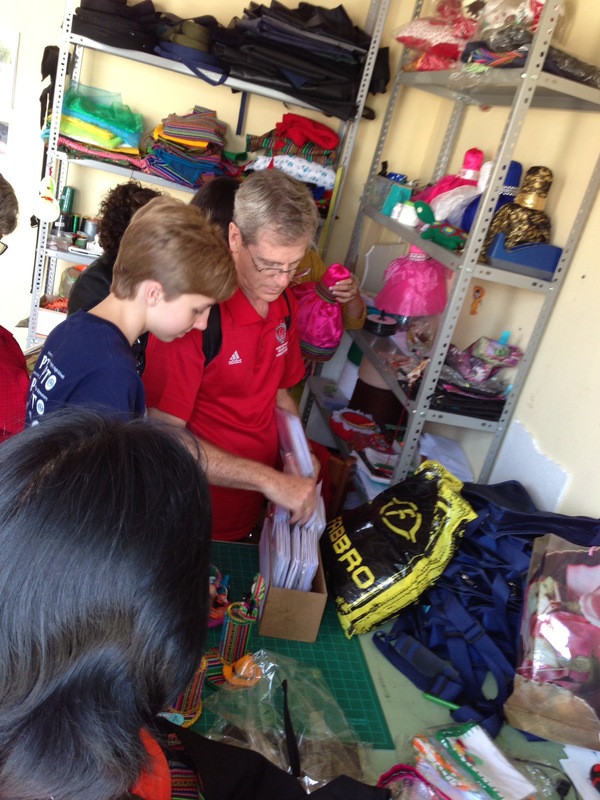 After a tour of the Pushaq Warmi workrooms and multiple purchases of artisan goods, the workshop commenced. WGC Board Member and CPA Teryn Grater, alongside UIW Business Professors Sara Jackson and Michael Forrest, answered many of the groups questions through the translation of Ada Gonzalez. 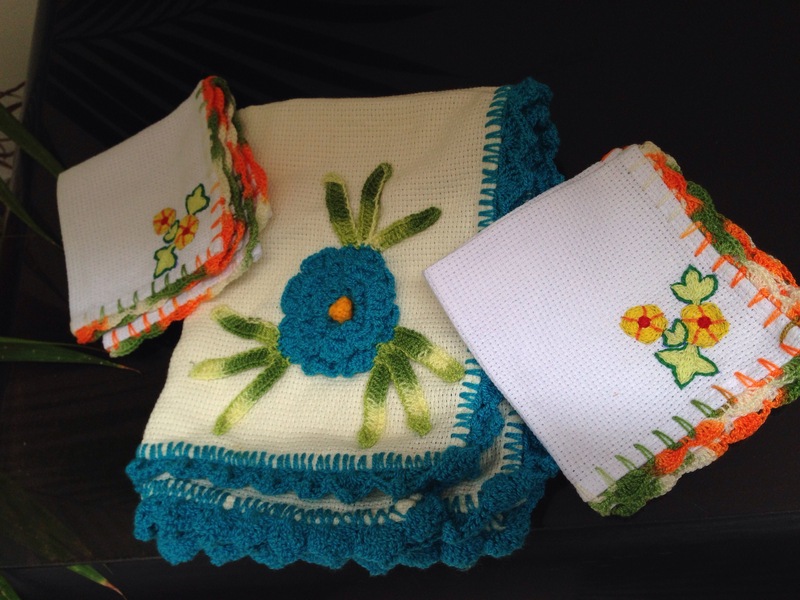 They also commended the group for the quality and authenticity of their products. After a beneficial discussion of topics such as product inventory, quality control, and cash flow, they broke up into smaller groups to have one-on-one conversations with the workshop conductors. 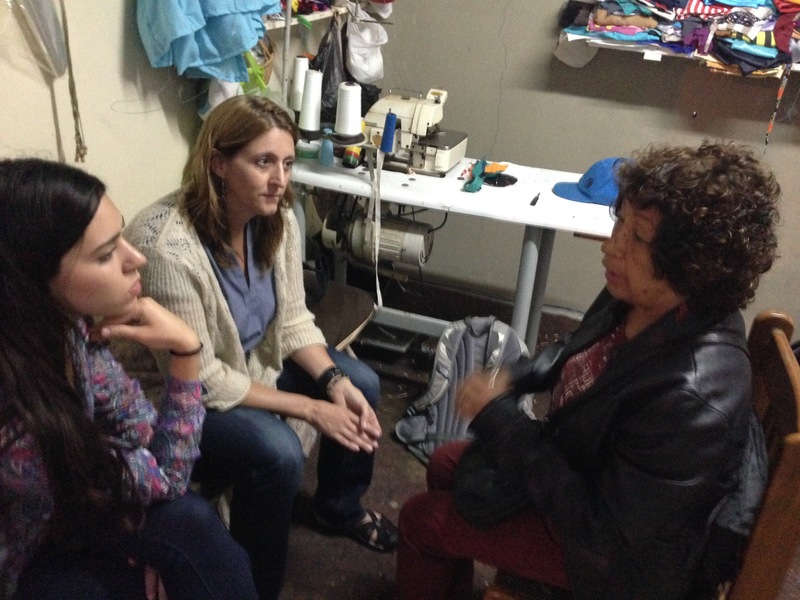 Through the help of translators Valeria Evia and Janie Mencey, the women were able to have more personable discussions with the business experts as well as get feedback about their current methods and procedures. 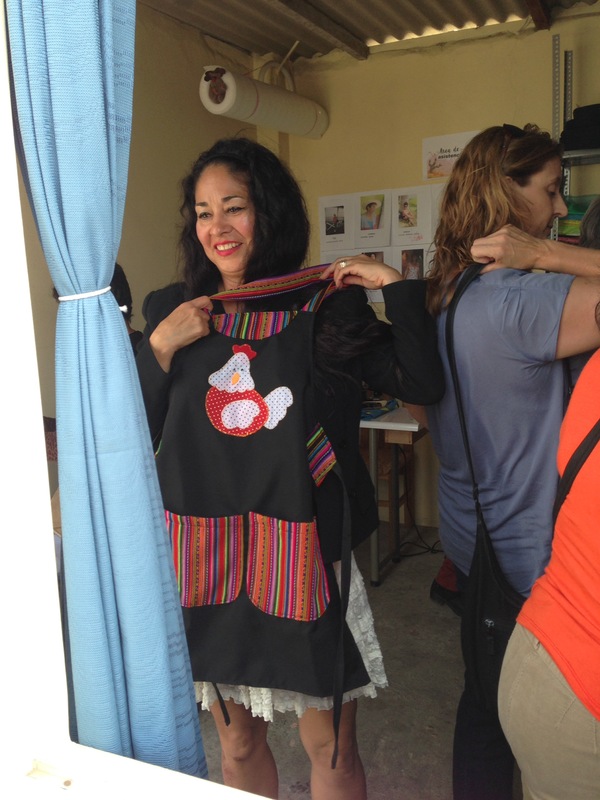 Janie poses with a handmade Pushaq Warmi apron that she purchased and plans on wearing to the cooking demo she will be presenting to them. 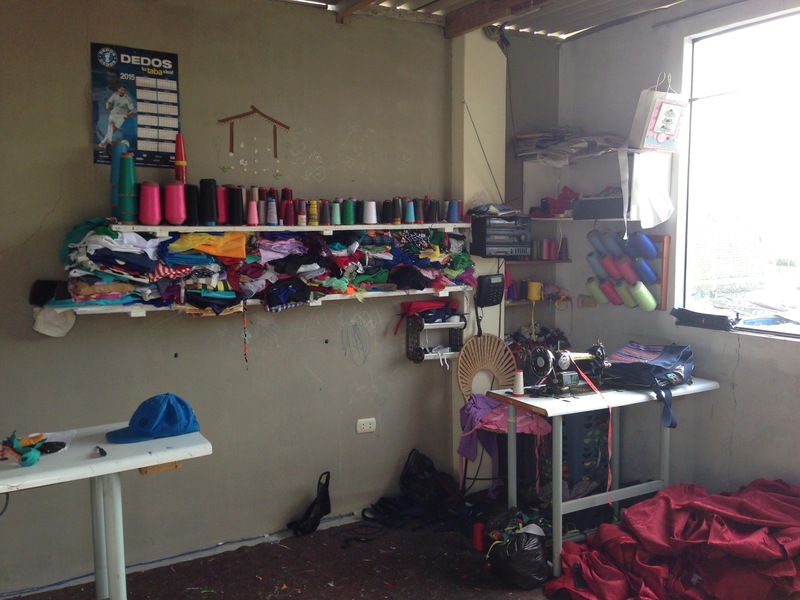 A behind-the-scenes look at the Pushaq Warmi workroom where they make their magic. 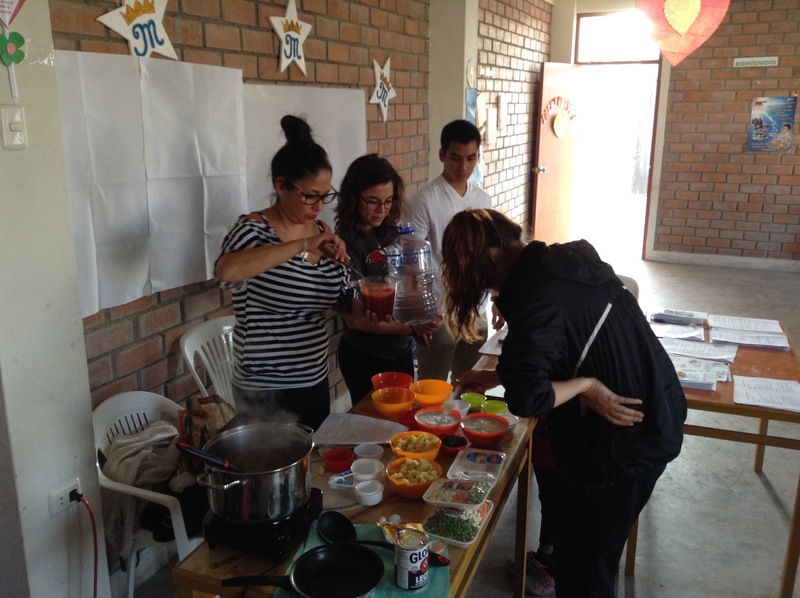 It was an eventful day at Sembrando Infancia, or Sewing Seeds, as part of the WGC immersion group conducted a healthy eating cooking demonstration to parents, teachers, and students. Incarnate Word Missionaries and UIW Nutrition students played the roles of Sous Chefs with the leadership of UIW Nutrition professor Dr. Beth Senne-Duff and Chef Janie Mencey. 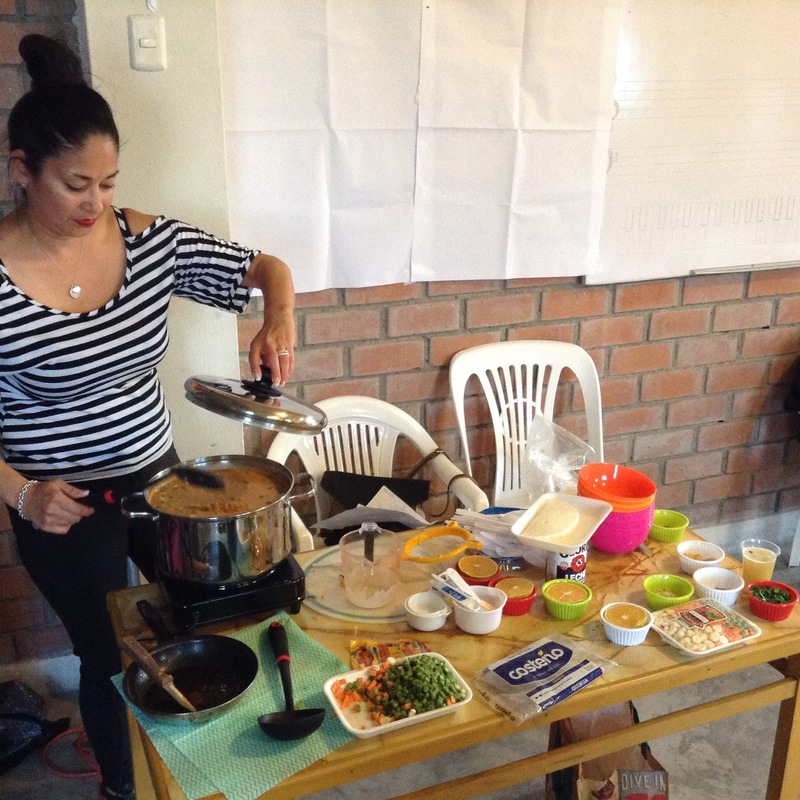 They cooked up a healthy quinoa soup with a tasty low-sodium seasoning called achiote instead of sodium-heavy salt. 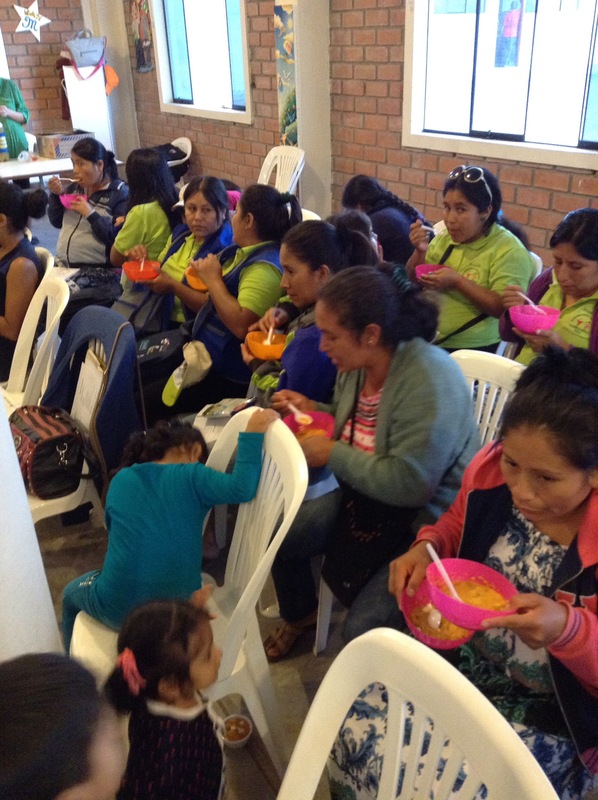 They added an array of vegetables to make the soup heartier, tastier, and more nutritious. 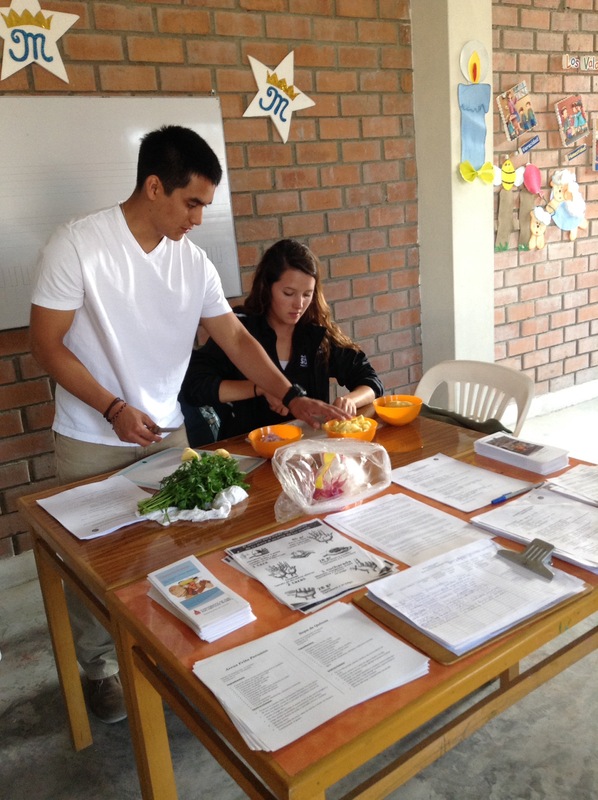 Nutrition student and translator, Valeria Evia, helped attendees learn how to read and understand the nutrition facts labels listed on the back of packaged food. 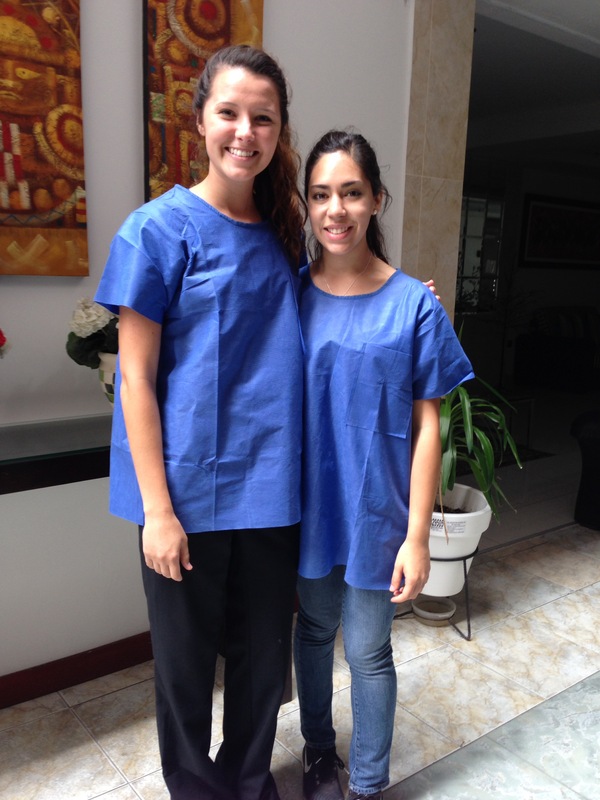 Nutrition students Megan Baker and Valeria Evia share their experience at the Hospicio. Earlier patients, tended to at the beginning of their shift, pull on their heart strings, while other equally terminally-ill patients make jokes and look at the bright side of life. A fisherman and fisherwoman maintenance their fishingboat early one morning while others are out on the water catching fish. 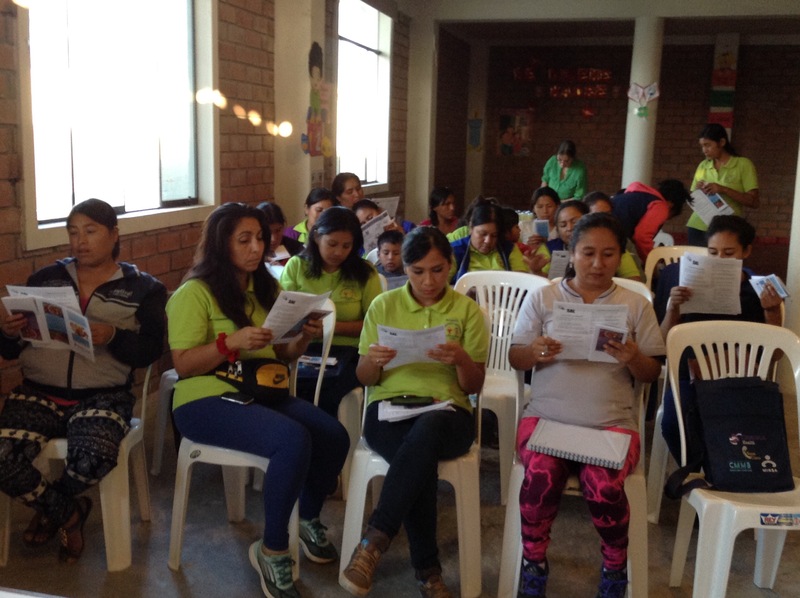 WGC staff Ada Gonzalez conducts a workshop for the Pushaq Warmi group about grant writing skills at the Centenario Cultural in Chimbote. 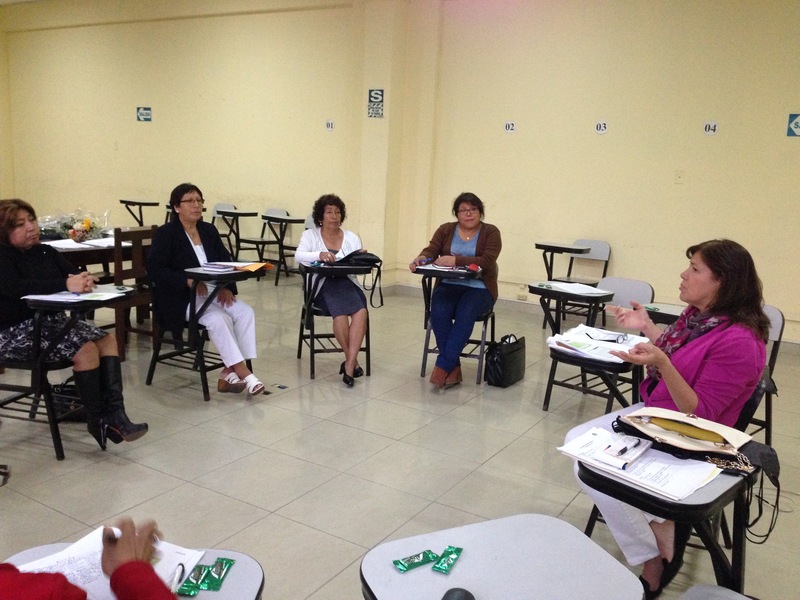 Breaking off into smaller groups provides more intimate discussions of the topic presented. 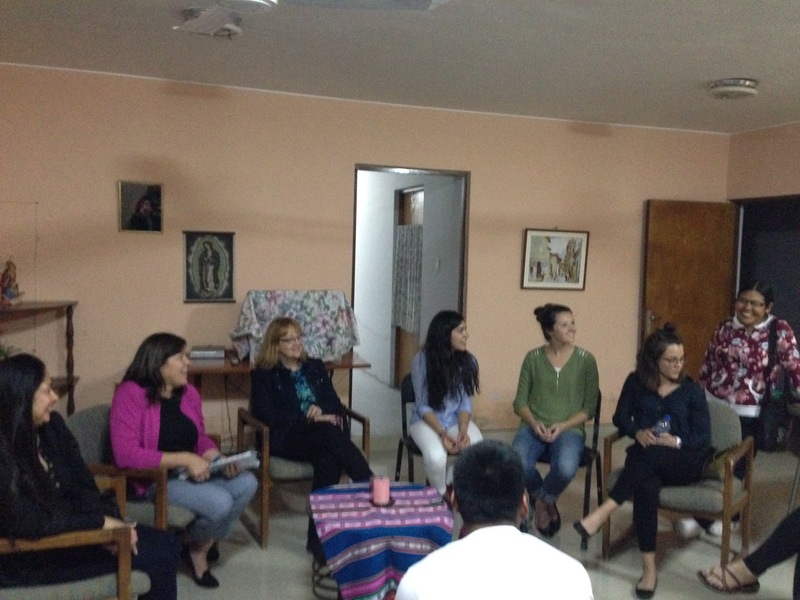 The sisters gave our Immersion Team a kind welcome along with a blessing in their home. 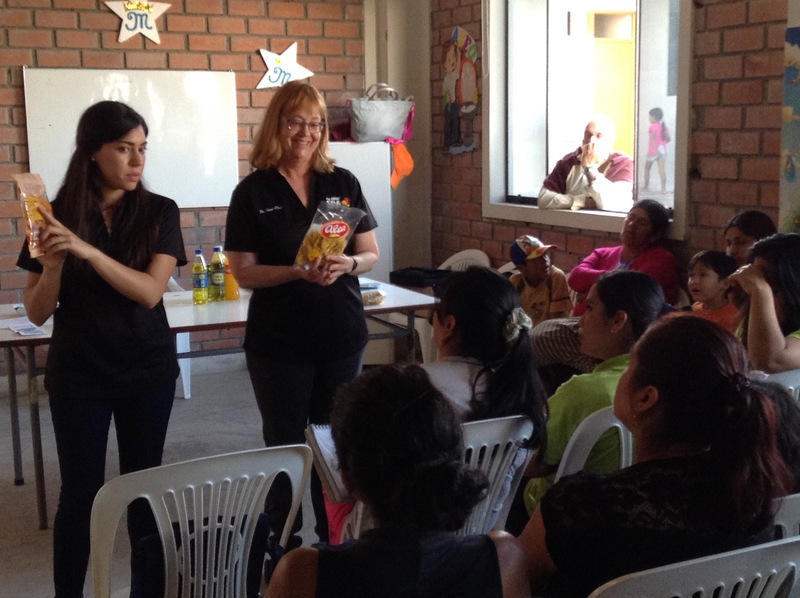 They also provided insight to the Nutrition group regarding the eating habits and nutritional needs of teens and adolescents in Chimbote. 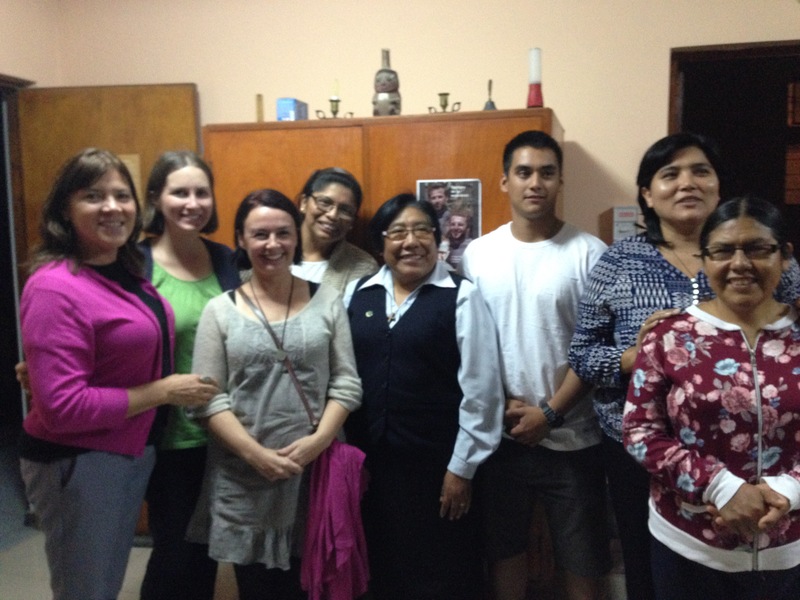 CCVI Sisters, missionaries, and IWM Director, Ada Gonzalez, gathered for a photo opportunity. 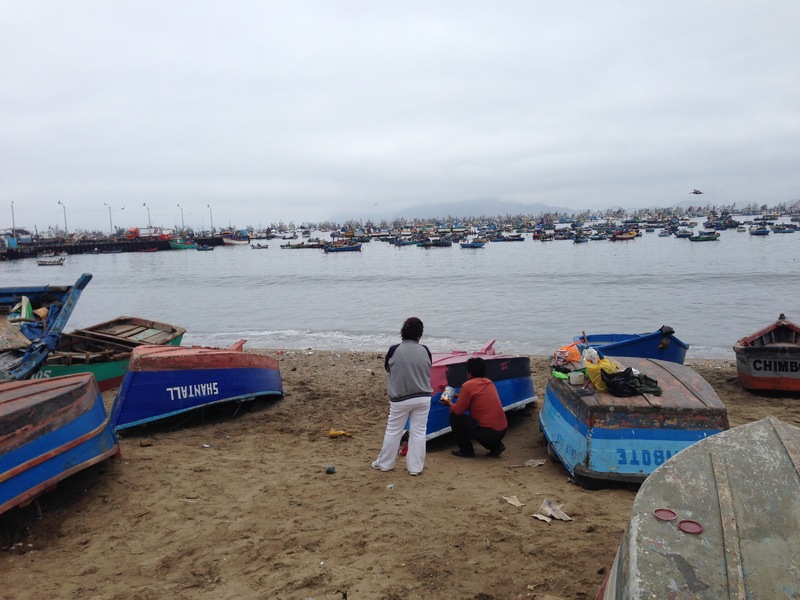 Hello, Chimbote! 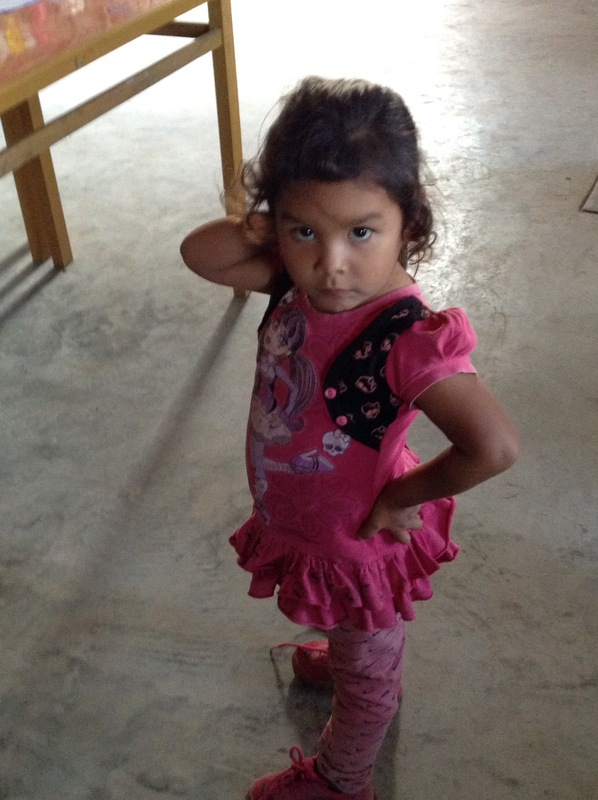 We arrived bright and early this morning after an overnight bus ride from Lima. The view of “Isla Blanca” overlooking the Pacific was nothing short of stunning as were the papas rellenos we ate for lunch. We are all eager to meet some of the local CCVI sisters as well as the Pushaq Warmi group later on this evening. For now, here is a photo of our new friend, Charro. 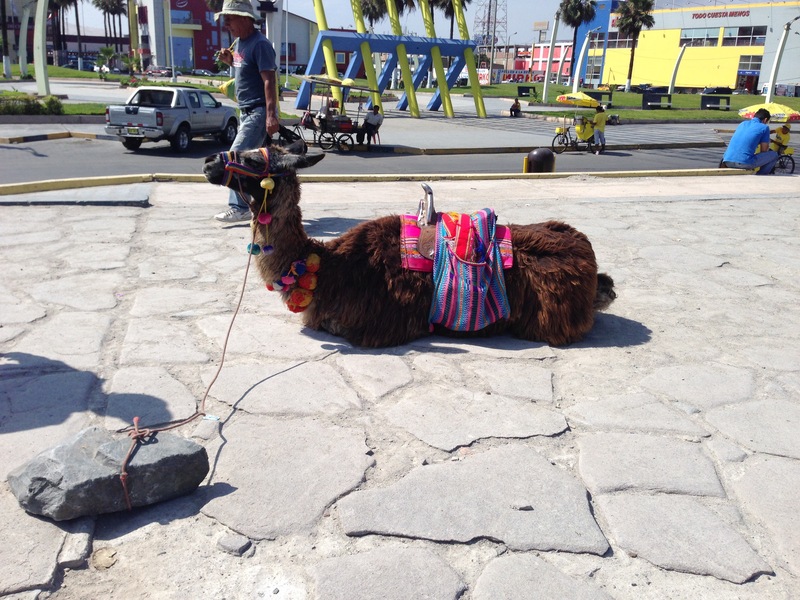 Don’t be fooled by the fact that Charro is a llama…she is also a lady! A very sassy lady at that, and that is why we like her so much. 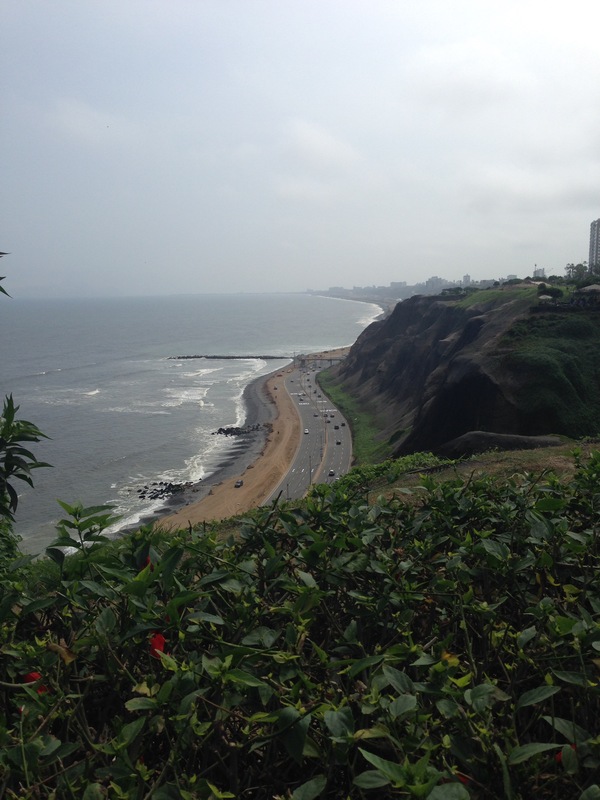 Our wrong turn led us to a beautiful view of the coastline in Miraflores. 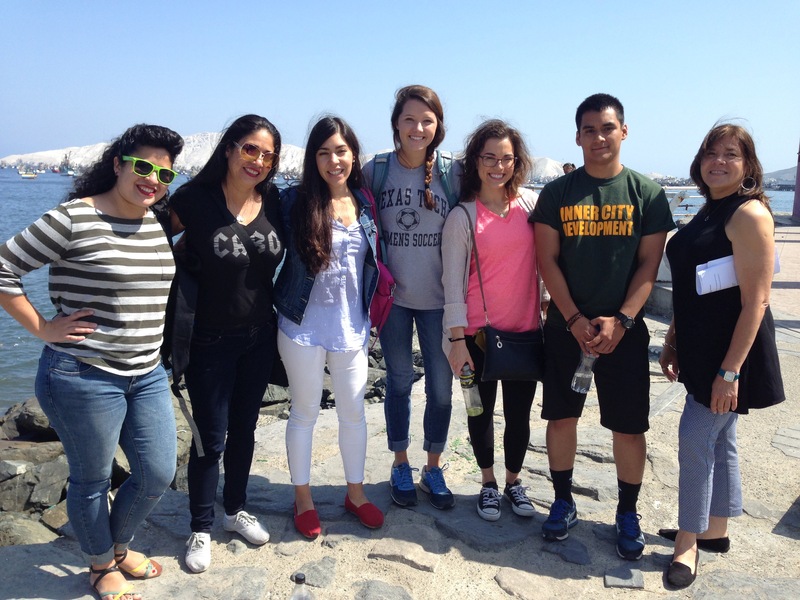 Without complaint, we took the longer, more scenic route to the exhibit we were searching for: Lugar de la Memoria, La Tolerancia y La Inclusion Social. 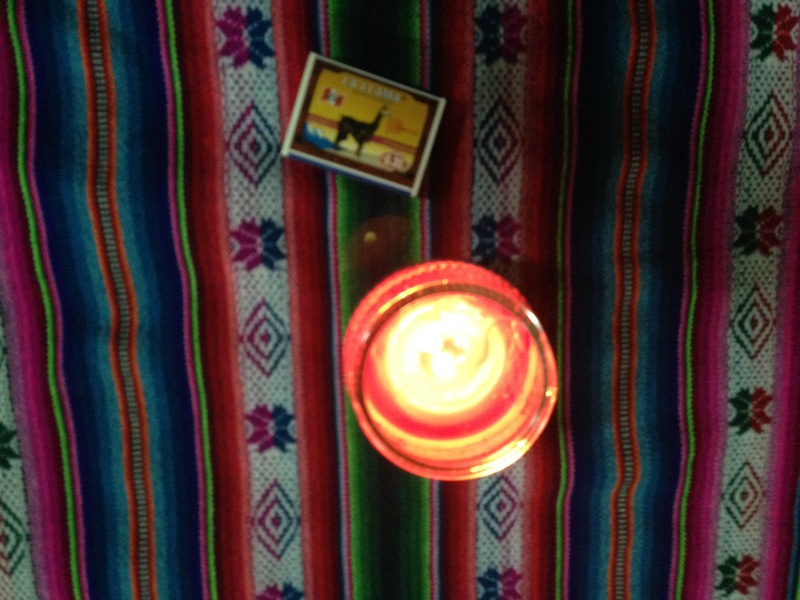 The history of Sendero Luminoso’s presence in Peru is tragic and complex. 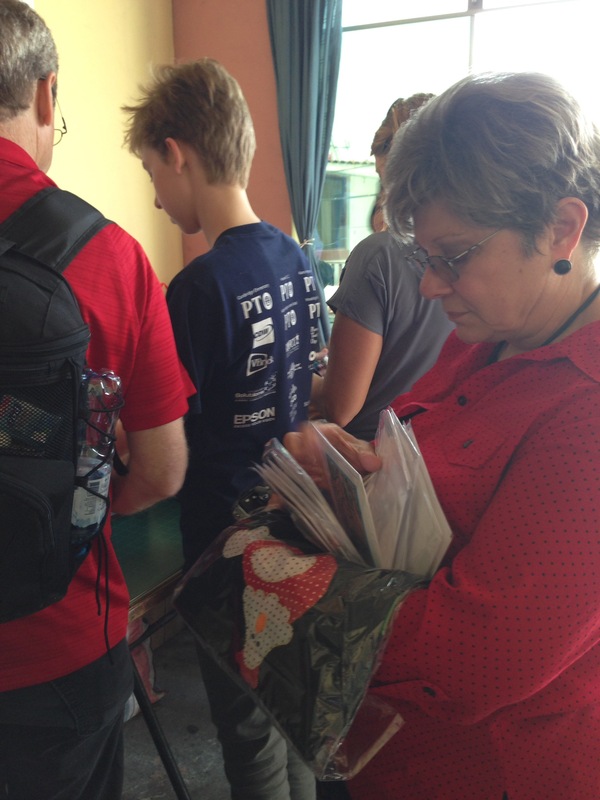 This museum walked us through the timeline of events with historical photographs, newspaper articles, and video clips. 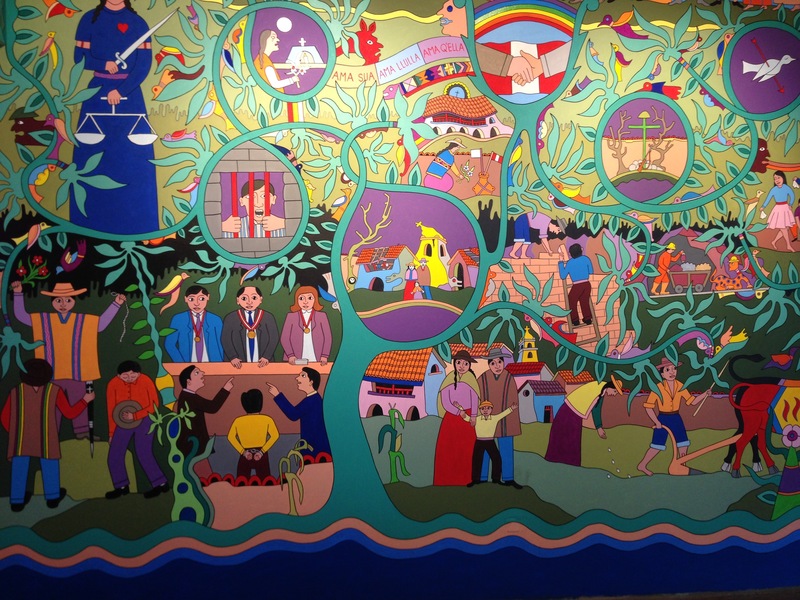 Below is a modern mural depiction of events that was displayed at the end of the exhibit. Across the street from the museum was a food market where locals sold in-season fruits and veggies. 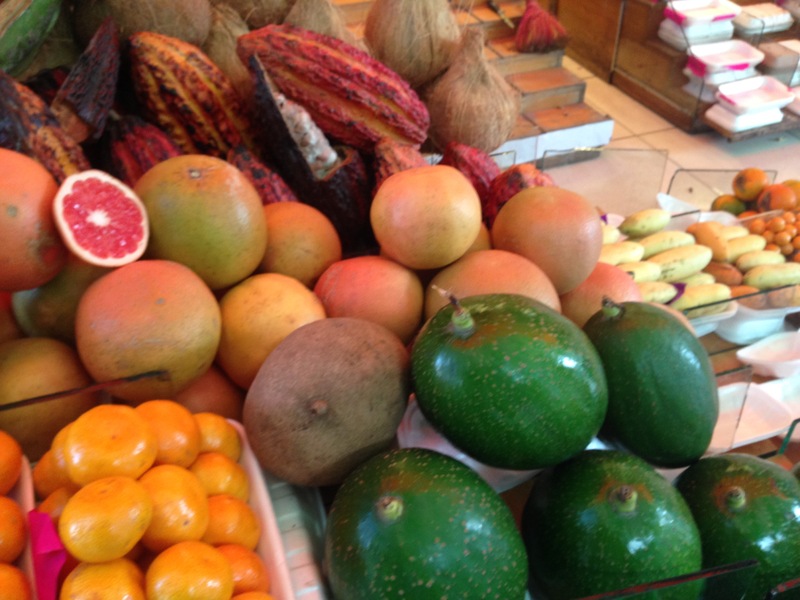 The avocados were bigger than grapefruits!